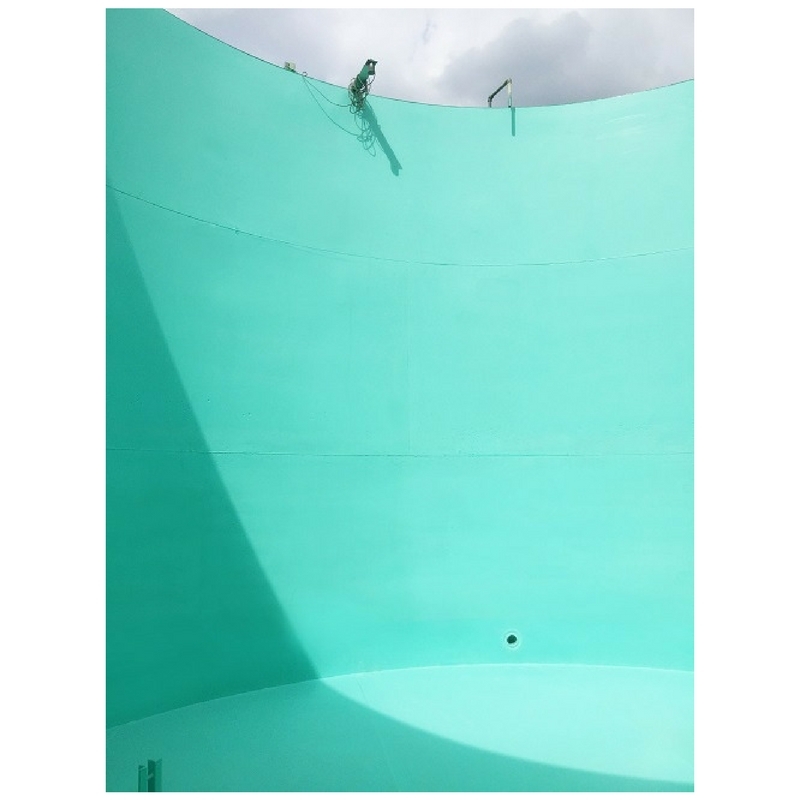 We recently refurbished a 250 cubic meter acid water process storage tank for one of our clients. The condition of the tank steel was very poor. Severe corrosion pitting was evident and a complete breakdown of the existing coating. Another company had applied this several times, but it continued to fail. In underground tanks, pitting corrosion is one of the most common types of storage tank corrosion we find. This type of storage tank corrosion can be one of the most serious. Pitting corrosion is a localised form of metal deterioration. 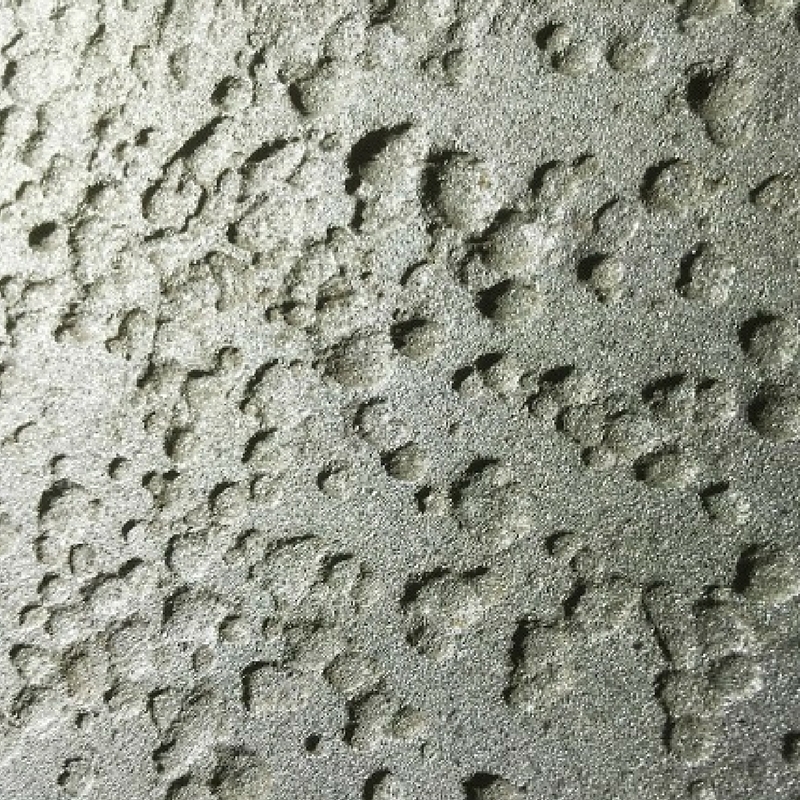 It displays as small pits or holes on the surface of the steel. Causing a loss of thickness to the metal. Pitting corrosion is often found in storage tanks that aren’t protected with a lining. Or, in tanks that have incorrect preparation. The lining becomes ineffective as it starts to peel away from the steel. Leaving it vulnerable to corrosion. If left, this will cause a breach in the tank. Leading to leaking product polluting the surrounding environment. Correct preparation is very important when lining any storage tank. Blasting to the required standard seems like an obvious statement, but it’s a surprise what we find sometimes. We blasted the tank to SA2.5 standard, removing the existing failed coating. Providing a blast profile of over 140 microns. This ensures good adhesion of the solvent-free coatings that we use for storage tank lining. We use solvent-free coatings in our tank lining work. This one had superb chemical, assorted acids, and water-resistant properties. We coated all sections of the tank. These areas were then inspected for pinholes or any discontinuities in the coating. We repaired any found, ensuring the internal tank steel had full corrosion protection. The benefits to the client having a solvent-free single skin lining are huge. This new lining acts as an effective block between the tank steel and the stored product. Creating a corrosion resistant barrier. This ensures the storage tank has a longer operational lifespan. The solvent-free lining aids in reducing maintenance and repair costs down the line. Which leads to increased profits. Solvent-free coatings provide a reliable, proven, long-term solution to storage tank corrosion.